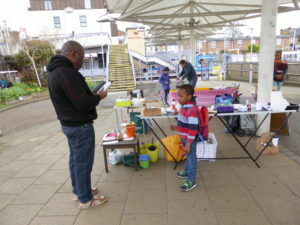 Despite the heavy rain, the plant sale made a whopping £288. 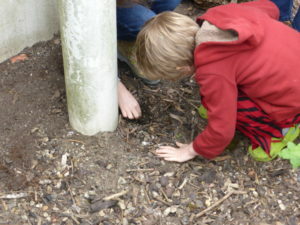 The rain was a mixed blessing – much needed for our gardens, and to fill the water butts, but it did put a bit of a dampener on some of our sales. But congratulations to all the plant growers and particularly the sellers, who turned out last Thursday. 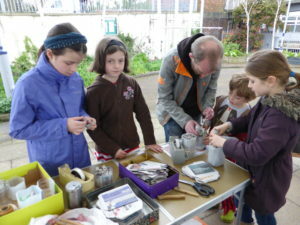 We are hoping to sell or swap a few more plants at our next gardening party on 4th June. Look out for flyers and publicity as we are planning an extra special morning, which is also linked to the Chelsea Fringe Festival. 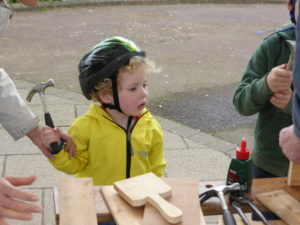 On the 4th April we held our spring Family Learning Event. There was loads to do, and those who came had a great time. 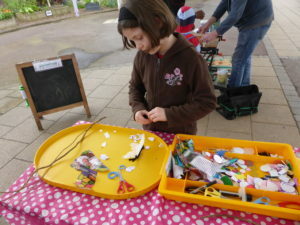 We had more activities than there was time for, so we will be doing some family activities again at our next gardening working Party on Sunday 4th June 10 -12. Whatever the weather we will be there, as we are sheltered from rain or …. given a chance….hot sun. Until then – some photos from last time……….. I have. All sorted. Ta! Would you please contact me by email. I emailed you recently but have not had a reply. I believe that you have now been contacted by one of our committee members about our involvement with a local event.